The ALLTRACK PRO 80 W delivers an award-winning fusion of power, precision, and hiking performance in our anatomic 100mm "slim fit". 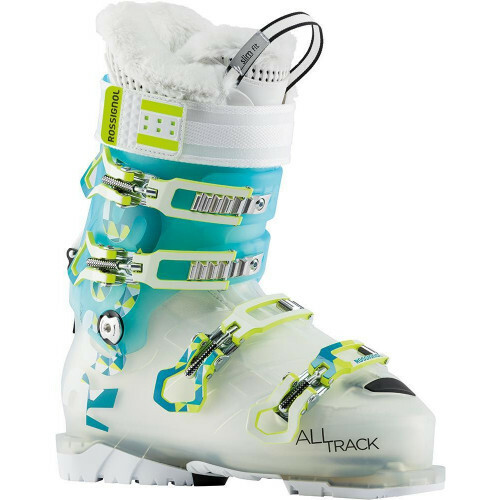 Compatible with GripWalk rockered soles, Alltrack offers ski-hike versatility combined with traditional alpine performance that continues to go unmatched. Sensor Grid shell technology and OptiSensor 3D Thinsulate™ Platinum liners deliver optimized foot wrapping, comfort, warmth and support. SENSOR GRID - Working on detail to eliminate the non-essential, getting as close as possible to the ultimate pleasure on the slopes… the core properties of a good boot are no secret: a shell that is rigid enough to transmit energy and sensations together with the lightness needed for freedom of movement. This dual objective led to the SENSOR GRID concept. A CLEARLY VISIBLE GRID BUILT INTO THE SHELL BOTH INSIDE AND OUTSIDE 1. Enhances the shell while reinforcing its torsional and flexural rigidity. 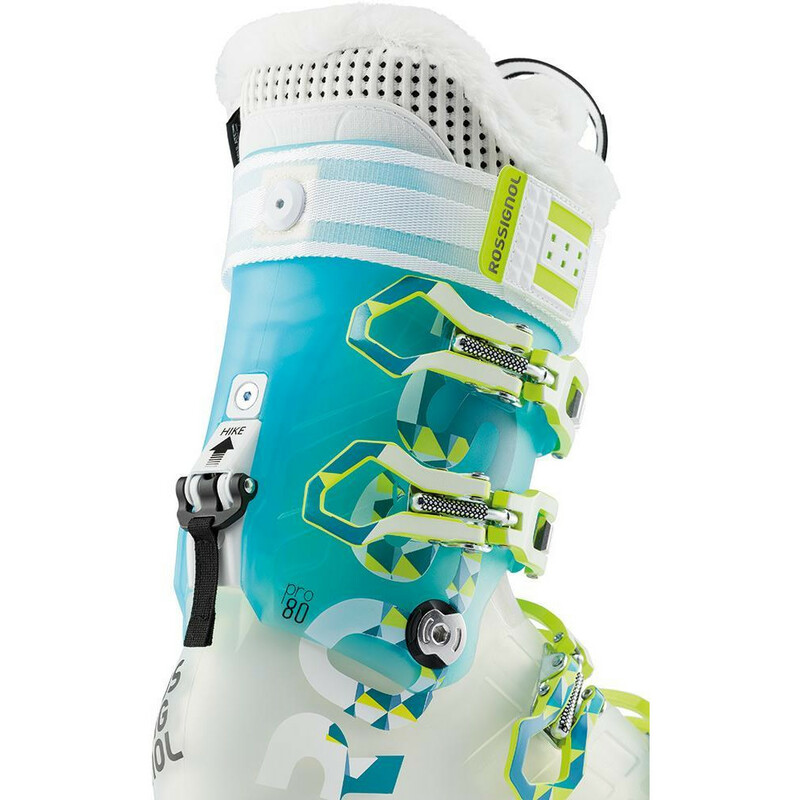 The result is a shell that weights 10% less than an equivalent traditional boot for ultimate ski performance. 2. Improves foot wrap thanks to the diagonally structured frame, enabling more precise steering. 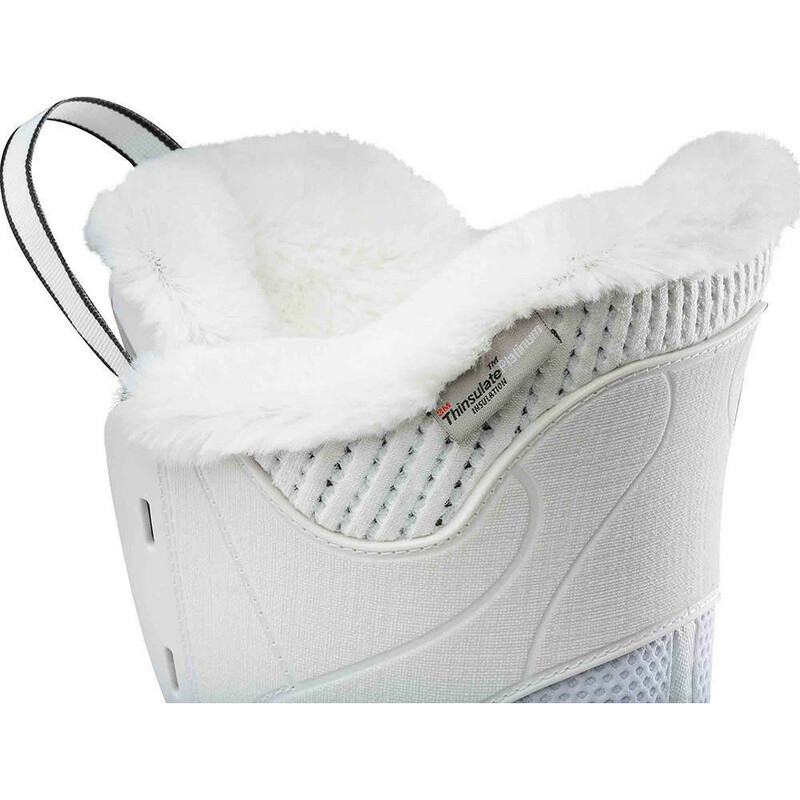 WOMEN THERMOC OPTISENSOR 3D T3 - Women-specific THERMO OPTISENSOR 3D liners feature dual-density 3D molded padding in key fit zones for optimized comfort, warmth, and support. The T3 version features an adaptable elastic rear cuff for increased comfort, wrapping, and mobility. HIKE MODE 2.0 - The new OPTIMIZED HIKE MODE includes a wider opening in the back of the lower shell, and a lower axis-of-rotation for optimized range-of-motion and uphill mobility (50⁰ ROM). The articulating lower shell insert and metal-on-metal locking mechanism increase rearward support while supplying maximum power transmission on descents. 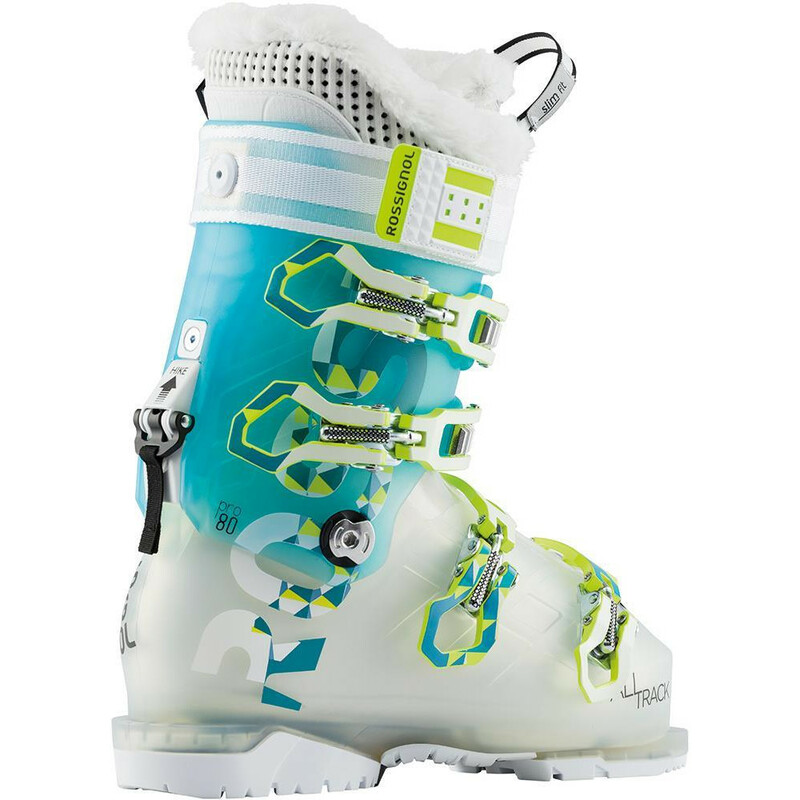 Rossignol Alltrack Pro 80 W 2019 Womens Ski Boots. 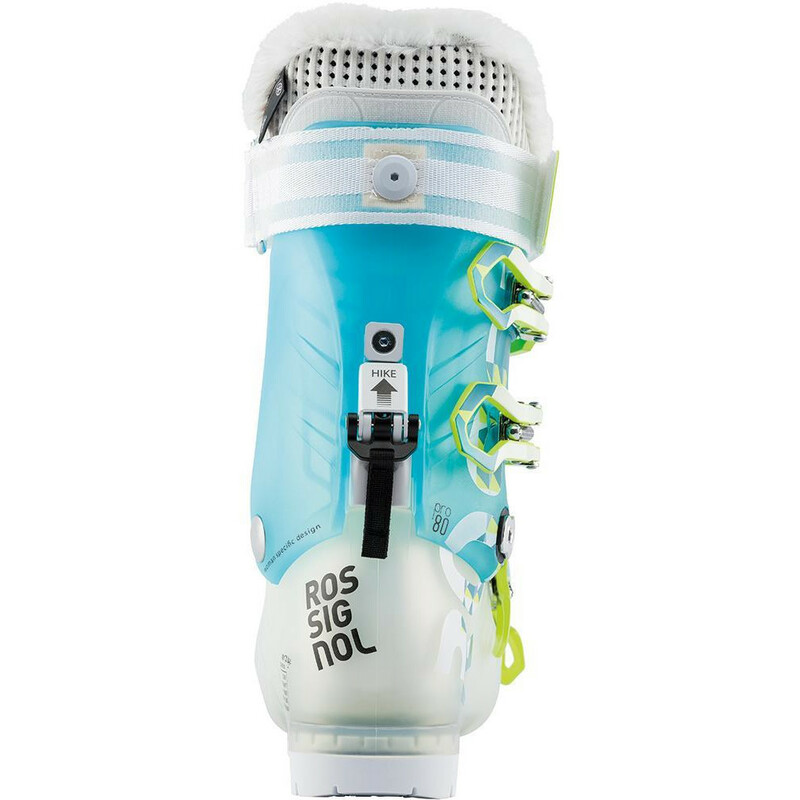 Rossignol Alltrack Pro 80 W 2019 Womens Ski Boots The ALLTRACK PRO 80 W delivers an award-winning fusion of power, precision, and hiking performance in our anatomic 100mm "slim fit". Compatible with GripWalk rockered soles, Alltrack offers ski-hike versatility combined with traditional alpine performance that continues to go unmatched. Sensor Grid shell technology and OptiSensor 3D Thinsulate™ Platinum liners deliver optimized foot wrapping, comfort, warmth and support. 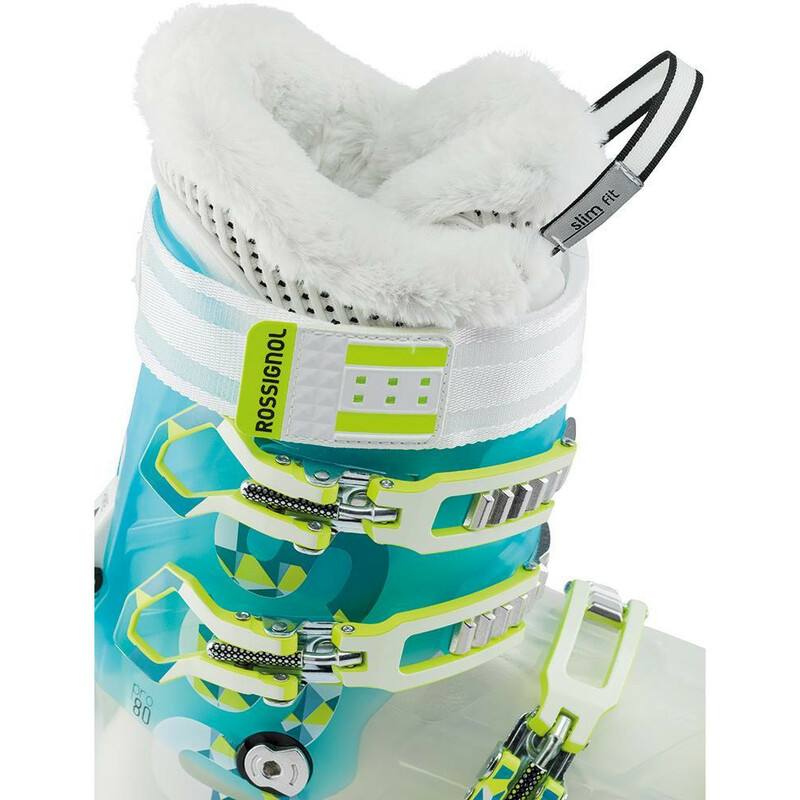 SPECIFICATIONS Flex: 80 Last Width: 100mm Heat Mouldable Liner: YES Heat Mouldable Shell: NO Ski / Walk Mode: YES Skier Level: INTERMEDIATE Boot Sole: ALPINE (ISO 5355) PRODUCT TECHNOLOGY & SPECS Additional functions - ADJUSTABLE TEETH 3 POSITIONS Canting - CANTING ADJUSTMENT Clip Material -100% ALUMINIUM Ski Boot Material - POLYOLEFINE / POLYETHER Powerstrap width - 40mm Specifications - HIKE MODE 2.0 Technology - DIAGONAL BUCKLES Technology - SENSOR GRID Technology - WOMEN THERMO OPTISENSOR 3D T3 Thermal insulation - FOREFOOT THINSULATE PLATINUM Tongue - POWER WRAP - ONE-PIECE TOE BOX Weight - 1.89 KG/per boot (Size 24,5) TECHNOLOGY EXPLAINED SENSOR GRID - Working on detail to eliminate the non-essential, getting as close as possible to the ultimate pleasure on the slopes… the core properties of a good boot are no secret: a shell that is rigid enough to transmit energy and sensations together with the lightness needed for freedom of movement. This dual objective led to the SENSOR GRID concept. A CLEARLY VISIBLE GRID BUILT INTO THE SHELL BOTH INSIDE AND OUTSIDE 1. Enhances the shell while reinforcing its torsional and flexural rigidity. 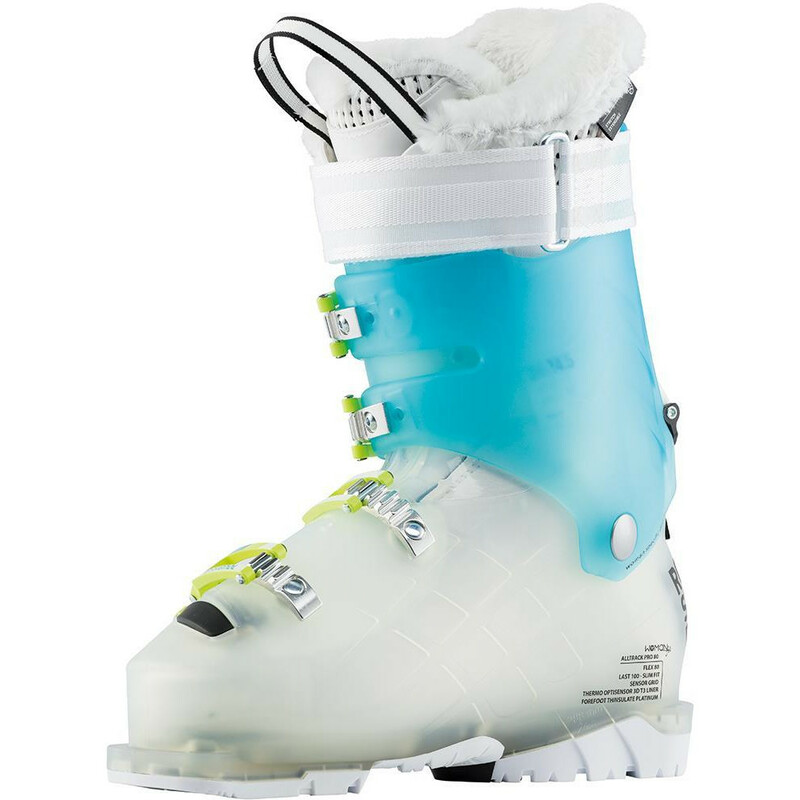 The result is a shell that weights 10% less than an equivalent traditional boot for ultimate ski performance. 2. Improves foot wrap thanks to the diagonally structured frame, enabling more precise steering. WOMEN THERMOC OPTISENSOR 3D T3 - Women-specific THERMO OPTISENSOR 3D liners feature dual-density 3D molded padding in key fit zones for optimized comfort, warmth, and support. The T3 version features an adaptable elastic rear cuff for increased comfort, wrapping, and mobility. HIKE MODE 2.0 - The new OPTIMIZED HIKE MODE includes a wider opening in the back of the lower shell, and a lower axis-of-rotation for optimized range-of-motion and uphill mobility (50⁰ ROM). The articulating lower shell insert and metal-on-metal locking mechanism increase rearward support while supplying maximum power transmission on descents.